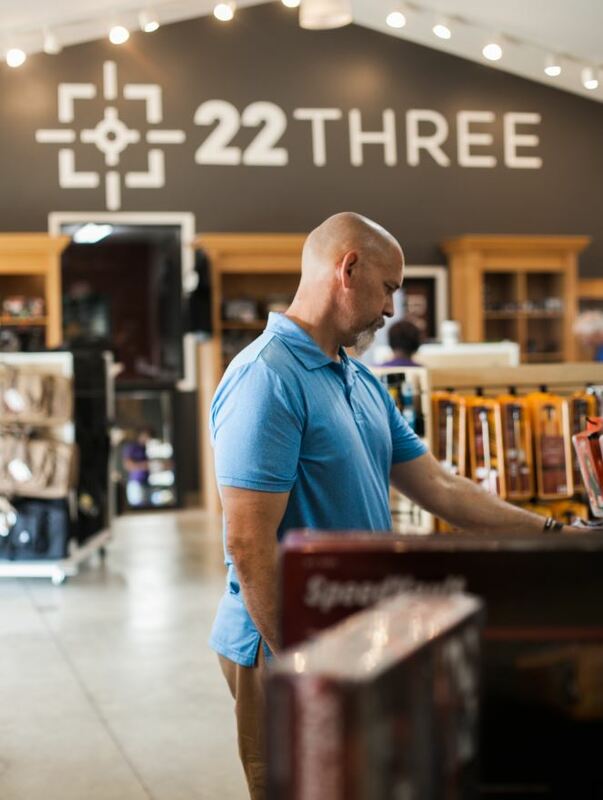 At 22three, we have what you need. We have new guns from all of your favorite manufacturers. We also buy as many used guns as we can and always have a great selection. a bunch of other cool gear. Stop in to check out our great selection! Or, you can shop our online store! If we don't have what you need in the store, please let our staff know and we will do our best to get it for you! We have relationships with warehouses all over the country. This allows us to get exactly what you want. We have more than 125,000 products online that can be shipped to our store for FREE. Because our online store gets product from all around the country, prices may vary from what you find in our physical store. That's enough chit-chat, take a look... there's something for everyone!